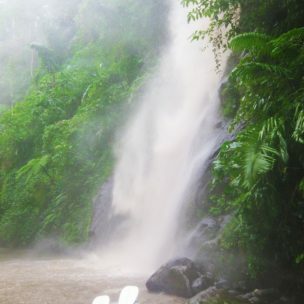 A tropical Indonesian island located between Java and Lombok: this is a popular destination for tourists. 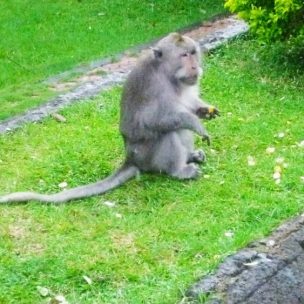 The first time I visited Bali was almost 15 years ago and I made a return trip with Ian 8 years ago. 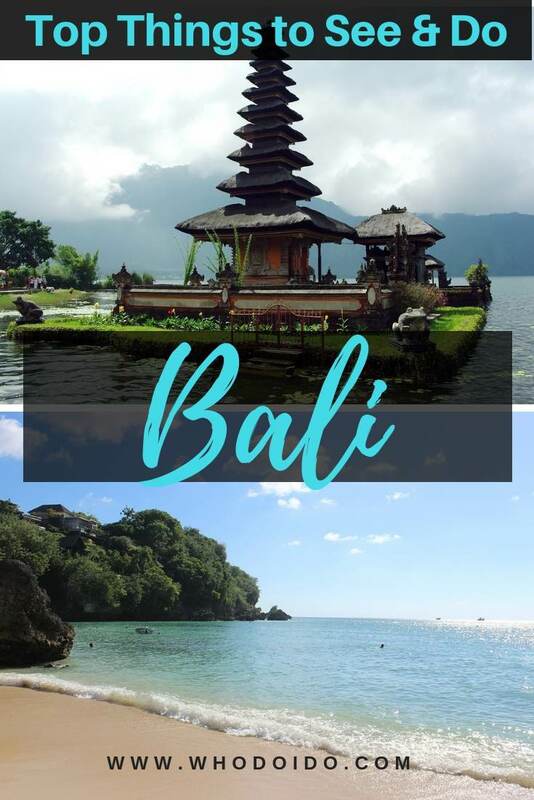 Bali is the place where I could go back to again and again; the sunshine, picturesque rice terraces, temples, great beaches and the super friendly Balinese people. Oh, and how could I forget the food. 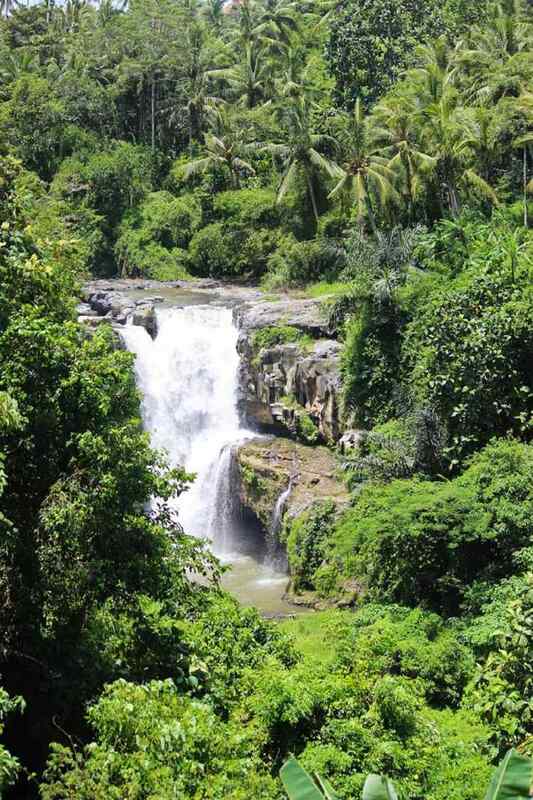 There are plenty of things to see and do in Bali to keep you occupied for a two week holiday. 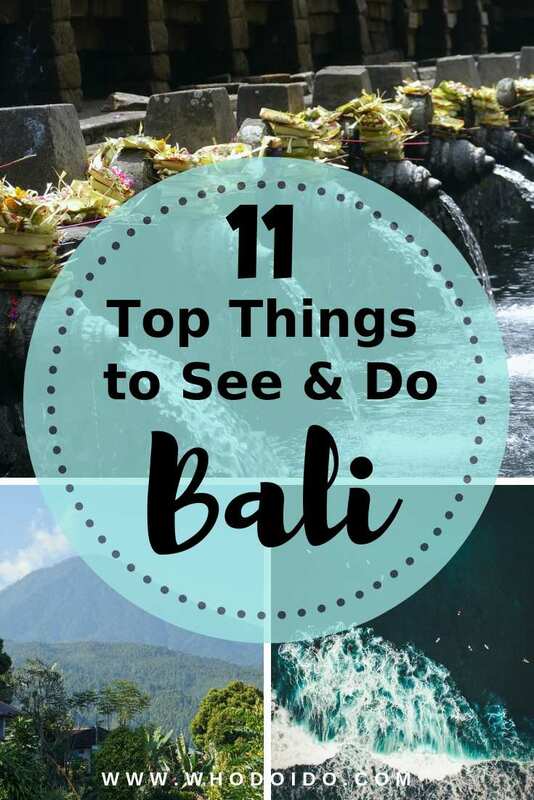 Let us highlight our top eleven things to see and do in Bali. Temples, temples, temples. 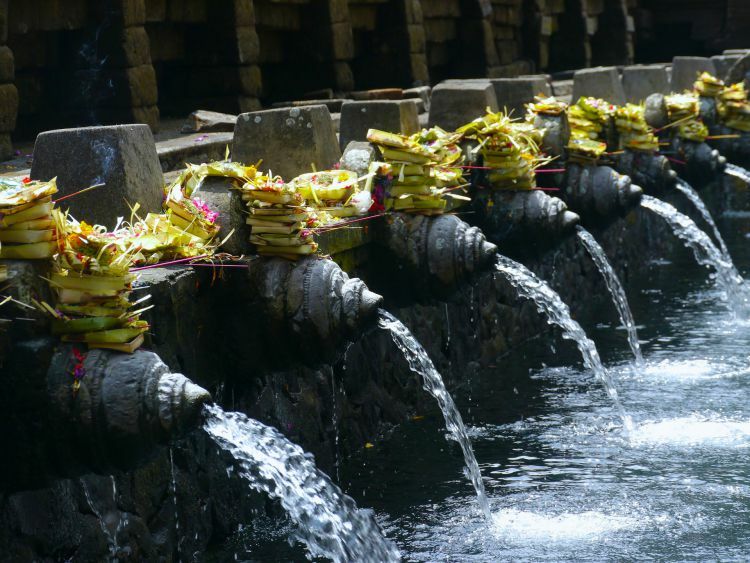 There are numerous Hindu temples (Pura in Balinese) dotted all over the island, probably more temples than homes! 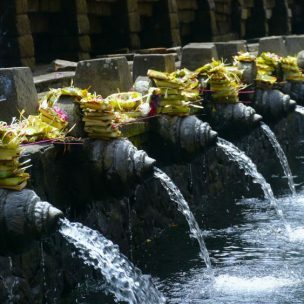 Apparently there’s over 20,000 temples on Bali! So take your time and plan which temples to explore, as each temple is unique. 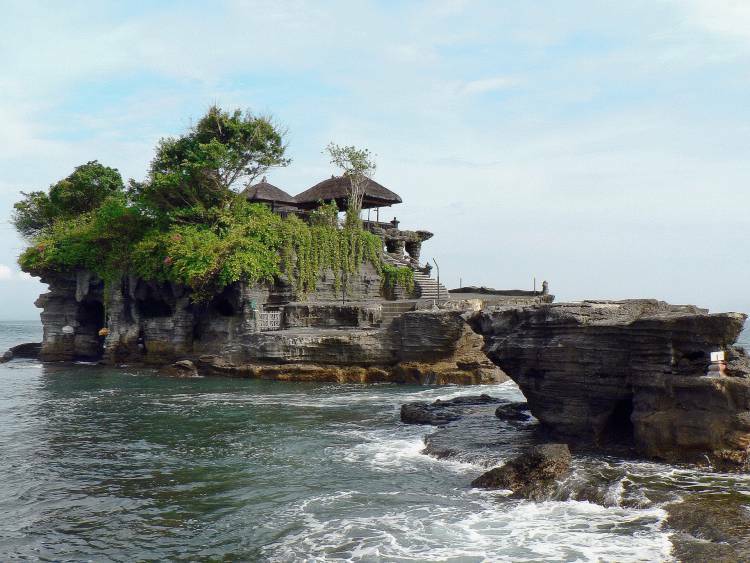 Although without a doubt, add Tanah Lot to the list which is perched on a large rock in the ocean – one not to be missed. 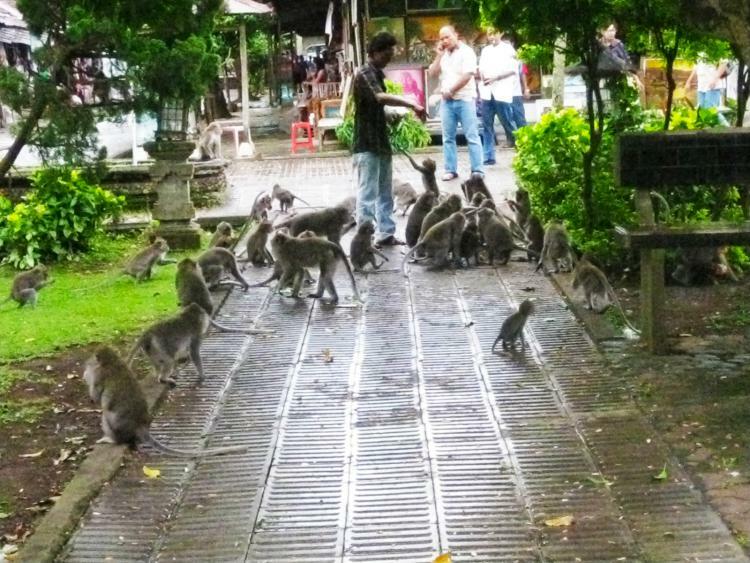 Have a play with the monkeys! 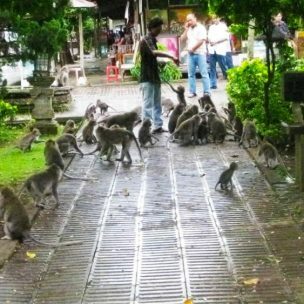 The monkey forest is an important spiritual, conservation centre for the village and is also home to around 600 monkeys. 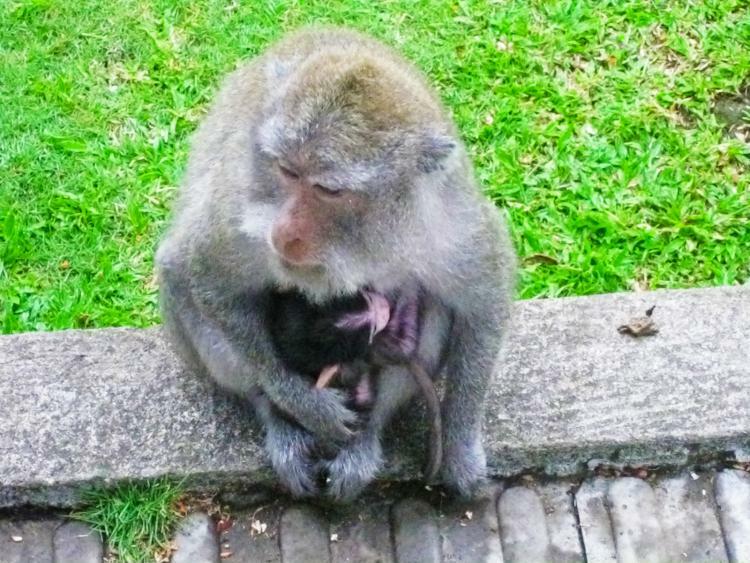 There are three Hindu temples located in the monkey forest and these play a spiritual role for the village community. Don’t be afraid to walk through the monkey forest – here you’ll spot the mothers with their babies and the cheeky little monkeys playing around. 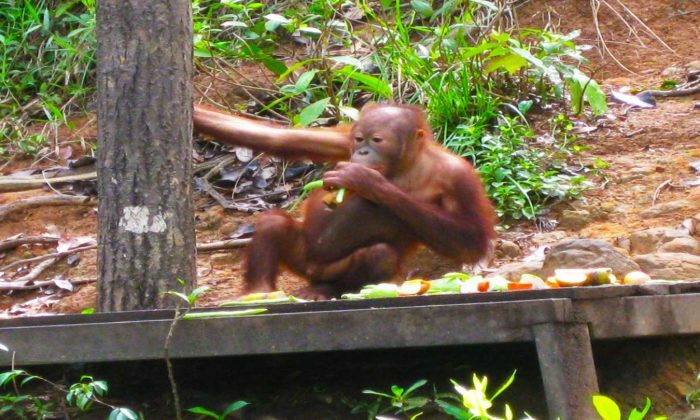 The monkeys are given sweet potato three times a day along with some local fruit, but that doesn’t stop them chasing any food they see. 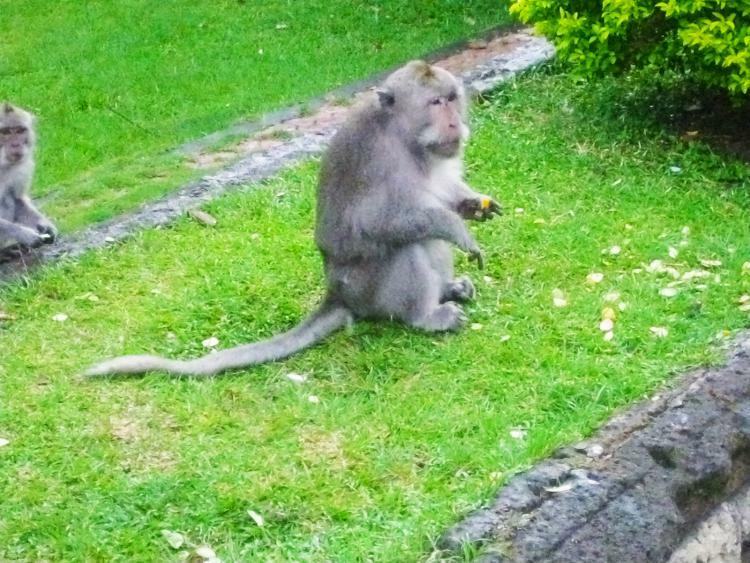 I’ve even heard stories of tourists being robbed by the cheeky macaques, so beware and keep everything safe. 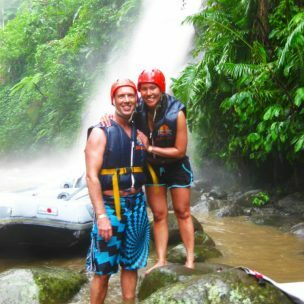 This is a fun way to see Bali. Don’t worry if you’re not a great cyclist (nor was I!) as it’s downhill all the way. Woohoo! The only thing you need to worry about are the locals casually walking across the roads or flying chickens in my case. 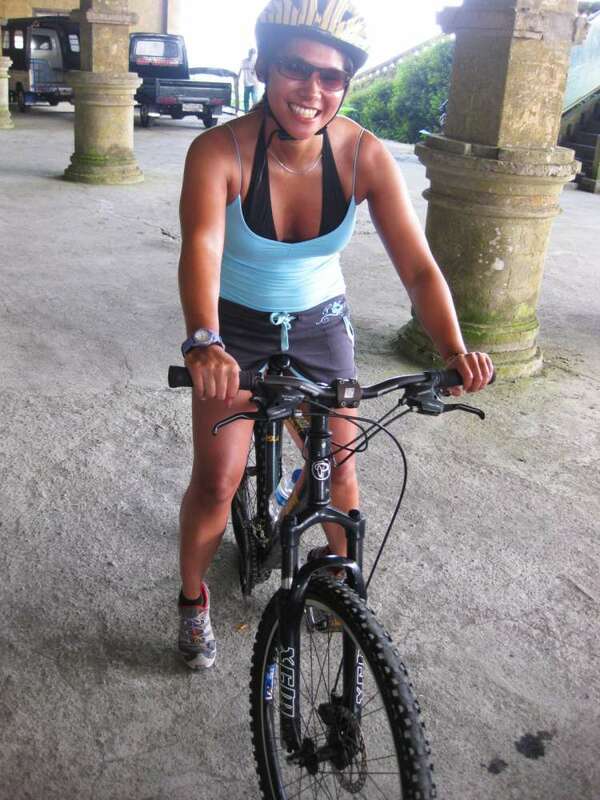 The bike tour will start at the top of Mount Batur volcano, then cycle your way through Balinese villages, temples and lush green rice paddy fields. An unforgettable experience! 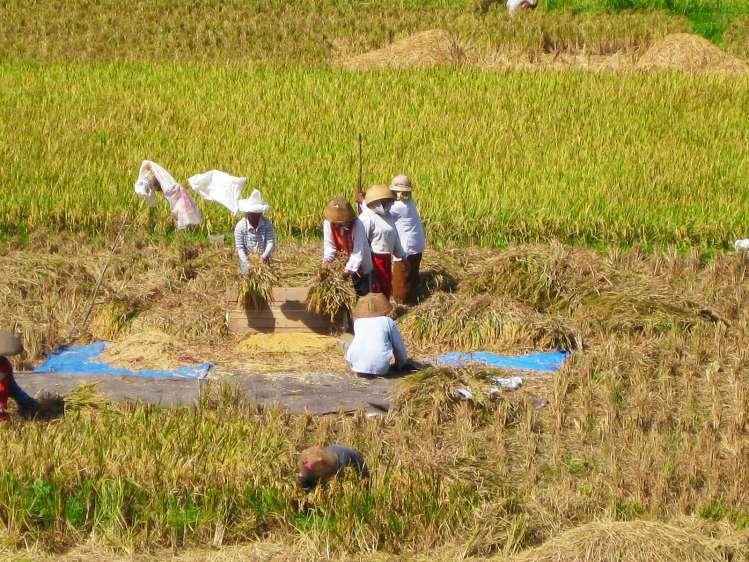 Have a break from shopping and/or lazing on the beach to visit and enjoy the breathtaking views of the rice terraces. 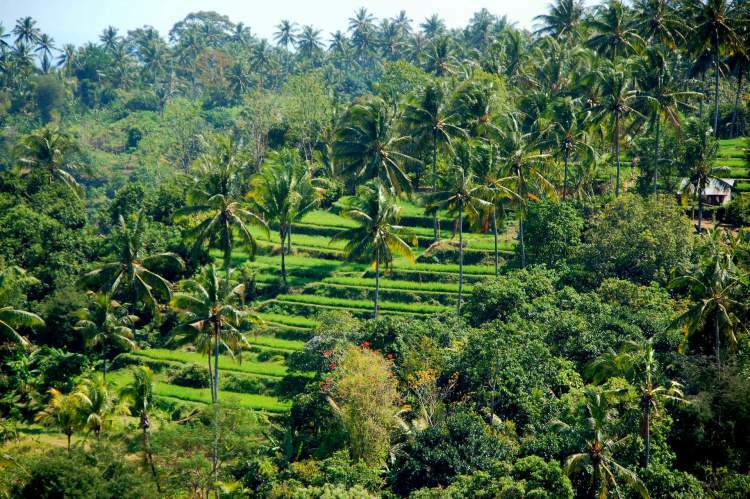 The rice terraces, or padi fields, are easily accessible if you’re staying in Ubud. 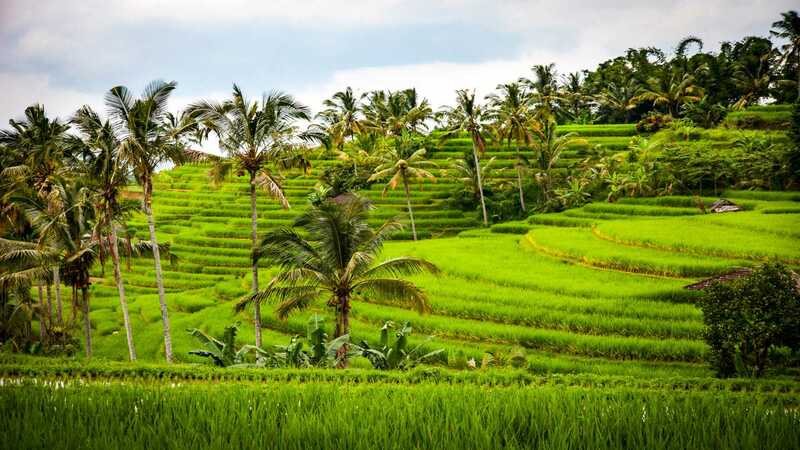 The terraced rice irrigation system or ‘Subak’ was developed as the original method of wet rice farming was very difficult in Bali. 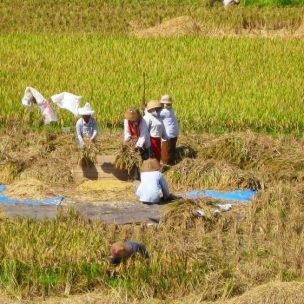 A day trip to see the rice terraces is possible and the views are spectacular the higher up you are on the island. 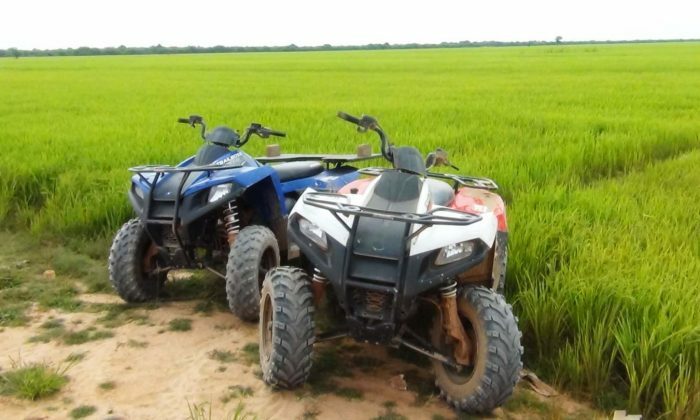 The Tegallalang rice field is very popular and is truly WOW; you can walk along the rice terrace and feel free to take as many photos as you wish. 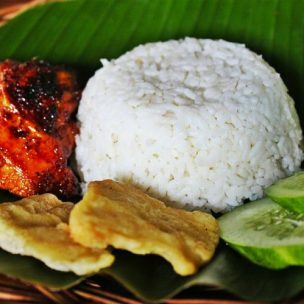 Balinese dishes are packed with herbs and spices and intensely flavoured. 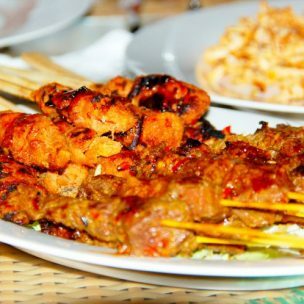 Try the popular satay dish – chicken, fish, tofu, literally whatever you fancy served with a rich tasty peanut sauce. 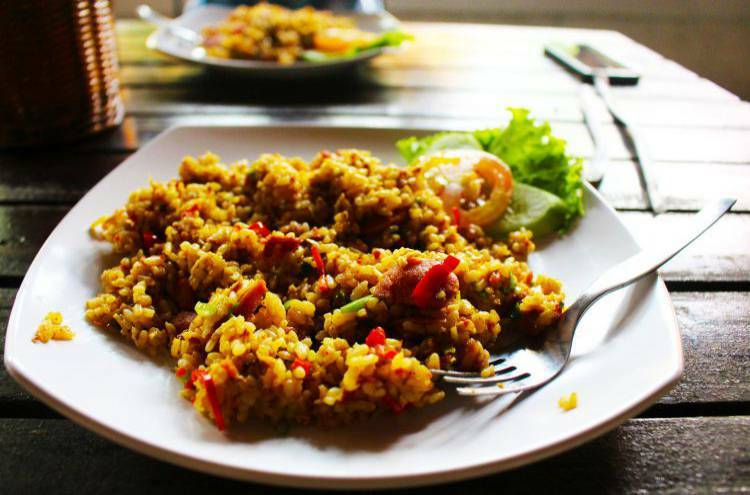 Or why not try Nasi Goreng, fried rice with meat and vegetables. For the meat lovers, sample the Babi Guling … a spit roast pig filled with vegetables and spices slowly roasted over a fire. Mmmmmm. 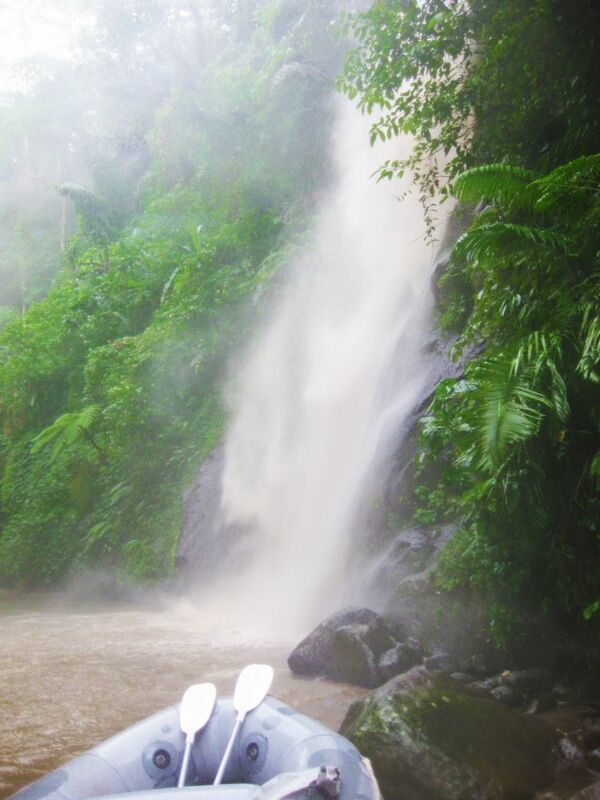 Aside from the beautiful rice terrace fields, did you know that Bali is home to many stunning waterfalls? 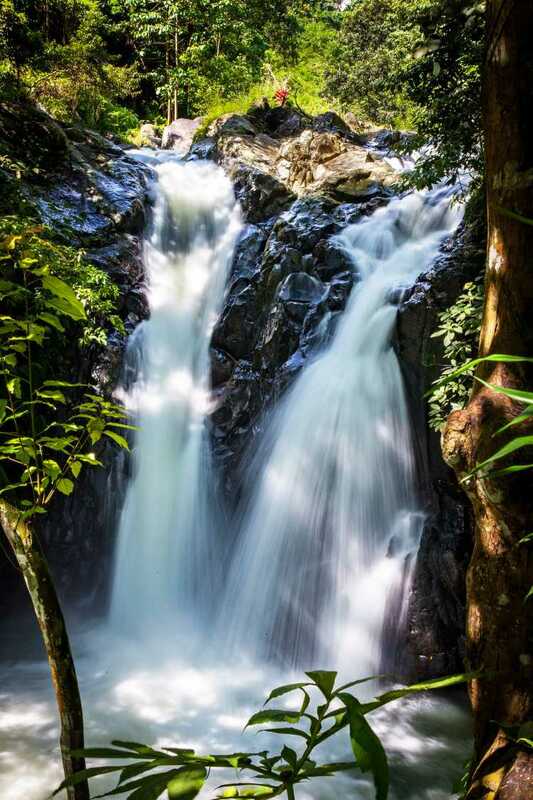 Venture away from the tourist hot spots and seek out some of the hidden waterfalls. 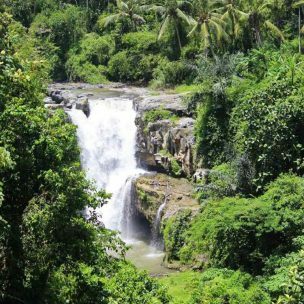 Tegenungan waterfall is not far from Ubud and is set in a lush green landscape with a 20m fall and a plunge pool perfect for swimming. 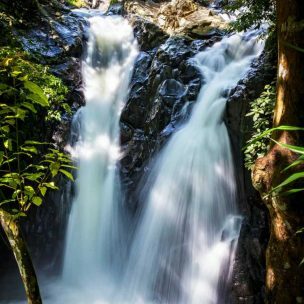 Or venture to more remote but spectacular falls such as Sekumpul and Banyumala Twin Waterfall: it can be useful to arrange a local guide for both of these falls as they can be tricky to find. Note: Beware of anyone who says it is compulsory to pay for a tour to see the falls – it isn’t. 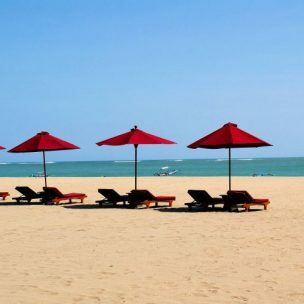 Many people visit Bali for the endless stretches of beaches and of course for the weather. 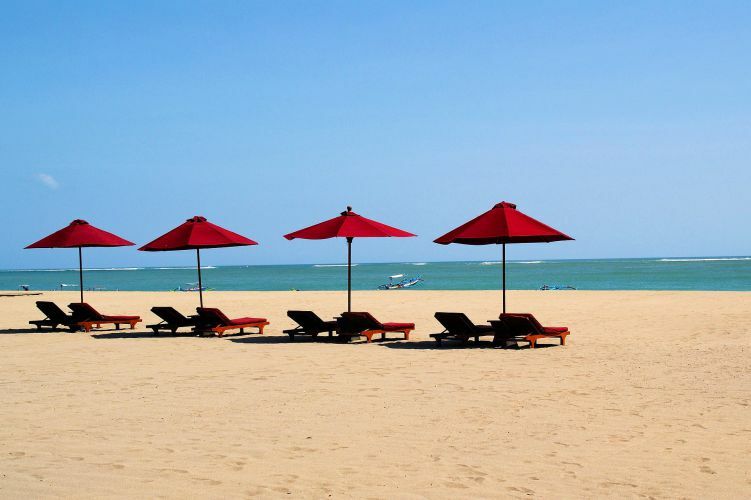 Choose from the many palm fringed beaches in Bali, sip on a cocktail and enjoy the tropical sunshine. 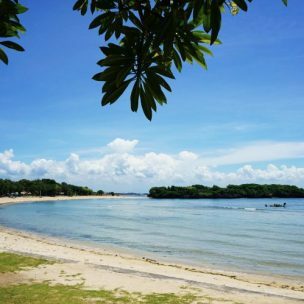 Kuta, Sanur and Nusa Dua are the most popular beaches in southern Bali – why not head to the quieter beaches like Lovina, the black sand beach in the north or the small quiet Balangan beach. There’s so many secluded beaches, I’m sure you won’t be left disappointed. 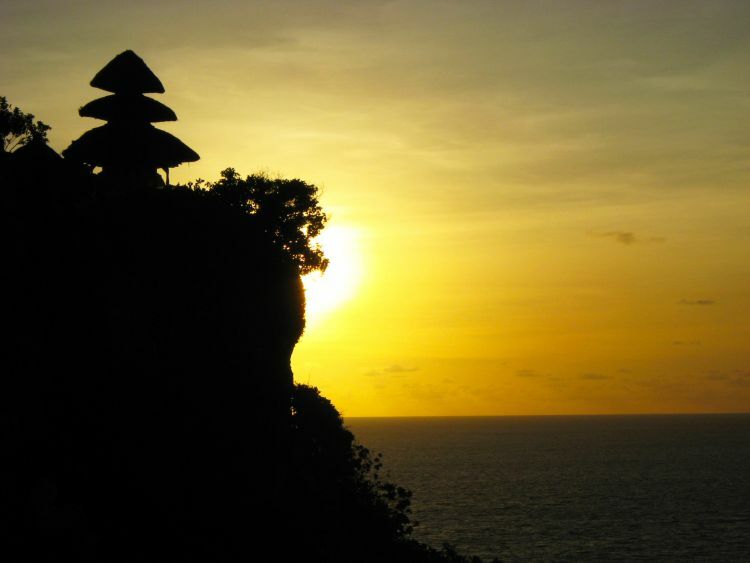 Don’t miss out seeing the traditional Balinese dance, Kecak, at the cliff top Uluwatu temple. 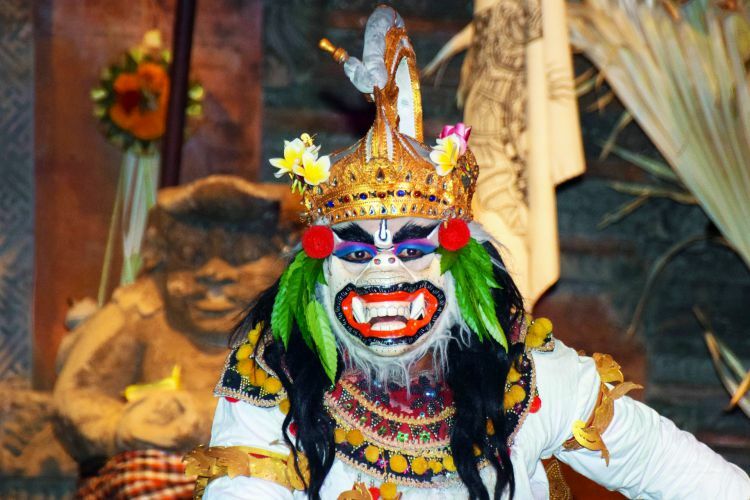 The performers sit on the ground in a circle chanting “cak ke-cak” waving their hands in the air and moving their bodies side to side in rhythm, like a trance. 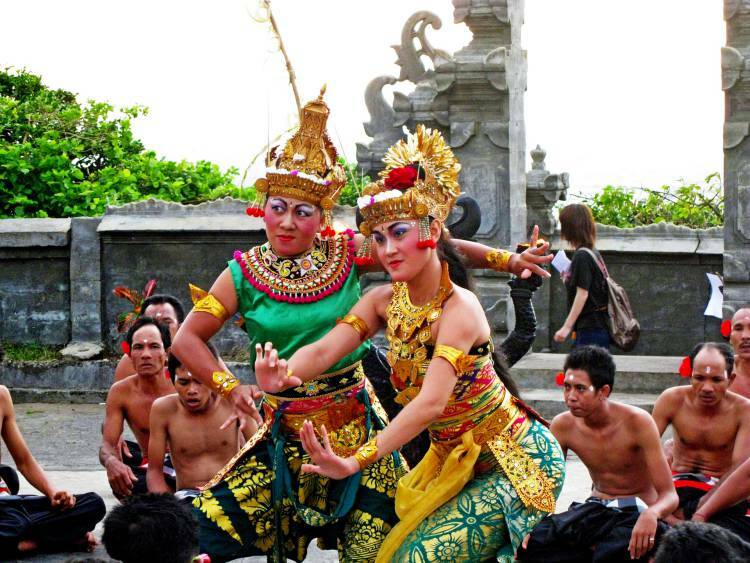 The Kecak dance is based on a famous Hindu story of the Ramayana and can be seen daily from 6pm. 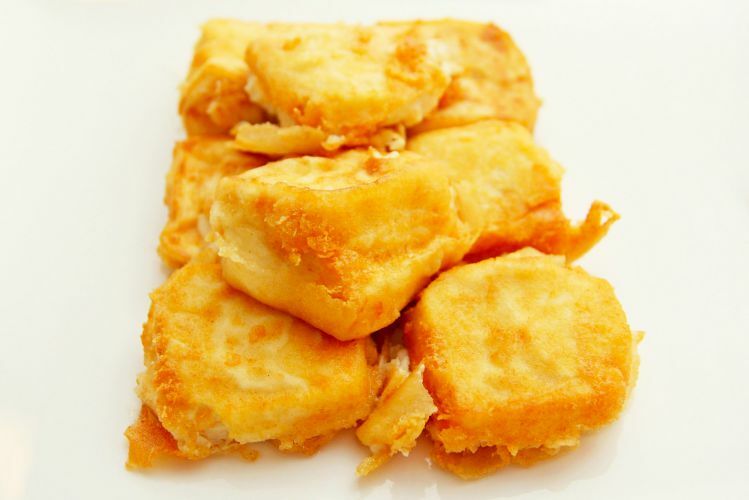 Price: Around 100,000 Rupiah. 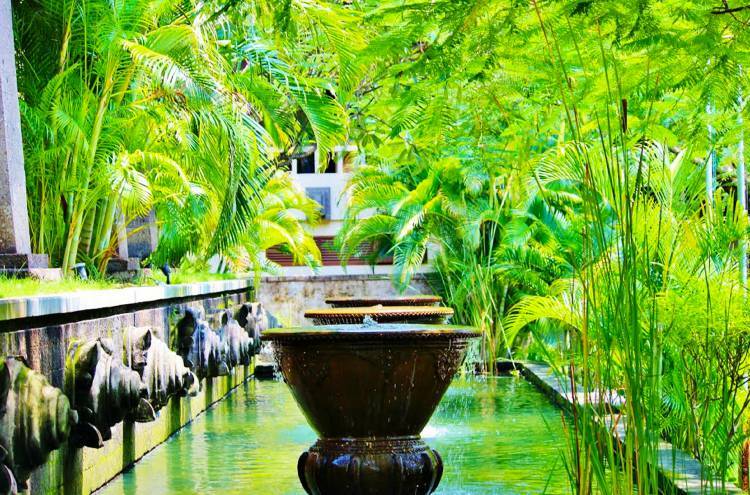 Why not pamper yourself and book in for a massage while you’re in Bali – the Balinese massages are amazing here! 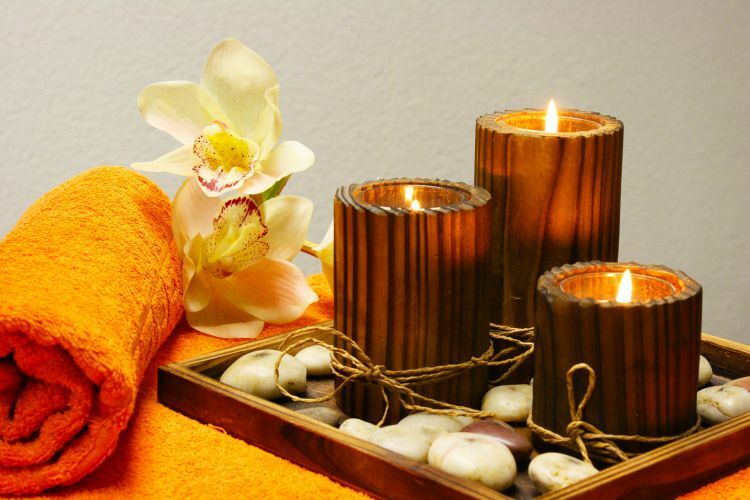 The massages are a mixture of traditional techniques with acupressure, reflexology and aromatherapy. No doubt you will nod off during the treatment. 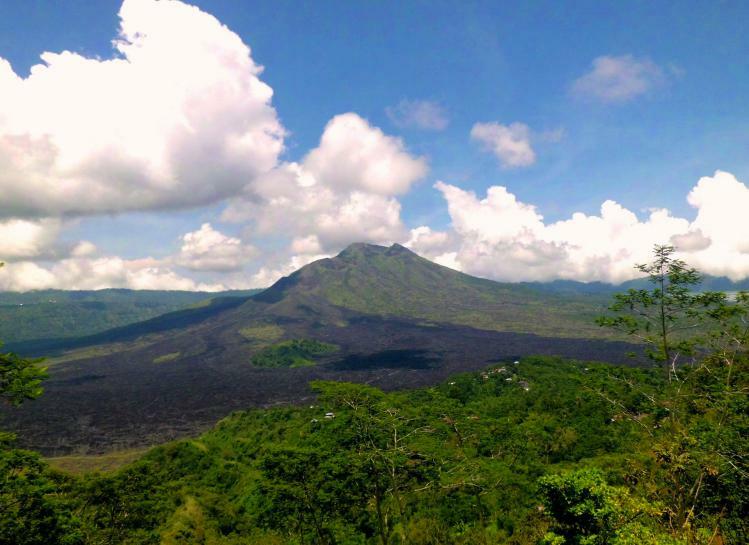 Mount Batur is an active volcano and stands at 1717 metres above sea level. Hike Mount Batur in darkness and reach the top just in time for sunrise. Even though you have to get up really early don’t miss out on this opportunity to stand at the top of the mountain and watch the sun come up. 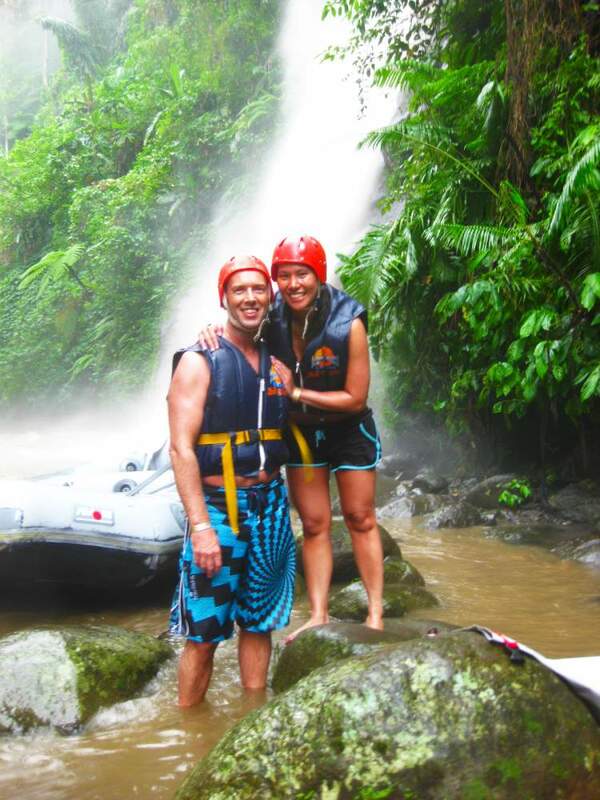 You’ll get to explore the mountain up close and experience the breathtaking views. 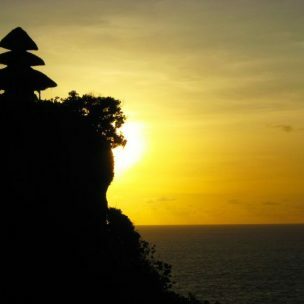 Have you visited Bali? 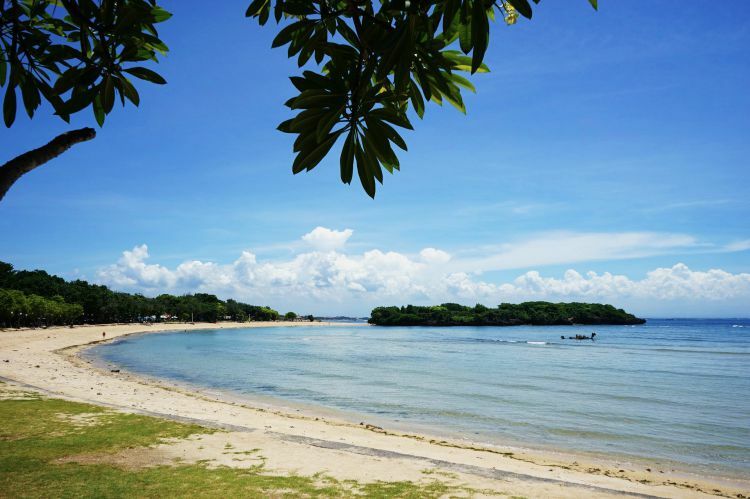 What are your top things to do in Bali? Bali is awesome. I want to be there once in my life. 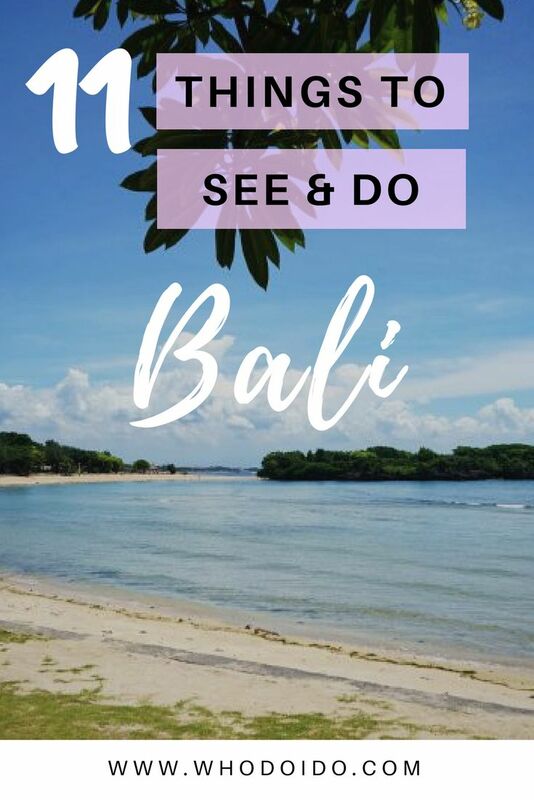 Awesome article you wrote..
One of the main things I’d love to do there is explore all the lesser known areas and discover new magic that Bali has to offer…and then after all that exploration I’ll go for a Balinese massage!! Thank you for filling me up on what to do in Bali. 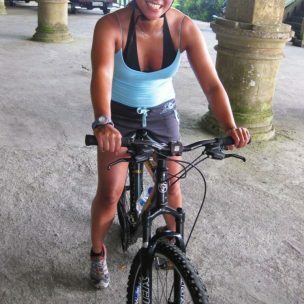 I plan to visit the city soon and plan to do white water rafting and trek Mount Batur. These two activities would be a sure shot stress buster for me! i’ll suggest this to my friend. she and her family are going to bali soon! this might help her a lot! 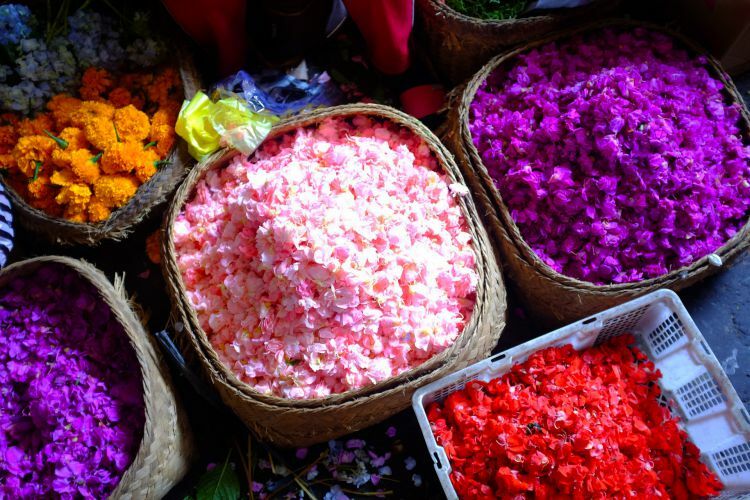 I’ve never been to Bali but it looks so beautiful and so full of colour! 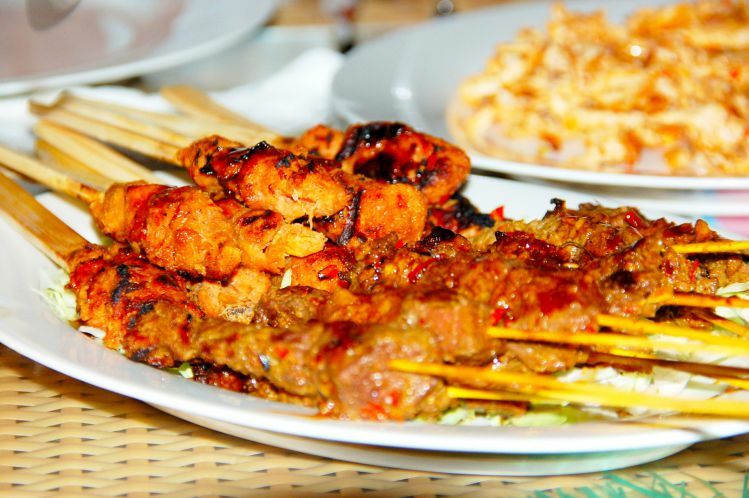 I’ve also heard the food is amazing – what is your favourite dish? Everyone I know is going to Bali and I’m so jealous. It looks like just the most beautiful, lush place to visit and relax and I’d love to see some of the temples! 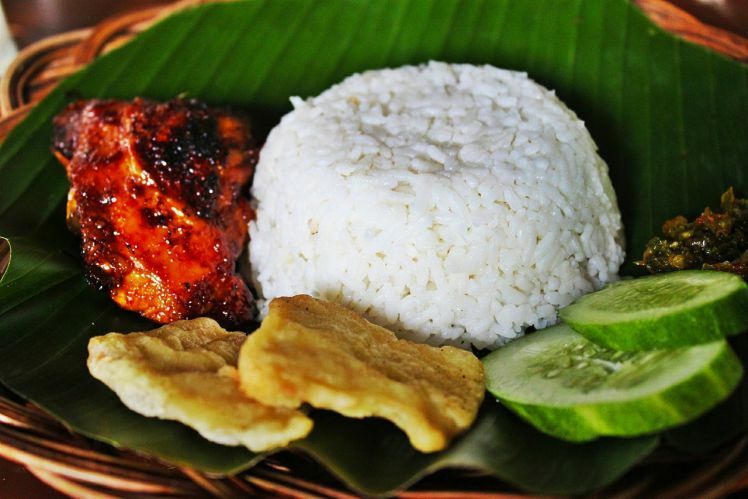 Colors, flowers, delicious food, it seems Bali has it all! I loved your suggested itinerary and I’m saving it for later use! Wow.We are slated to visit Indonesia the coming week. Glad I came across your post.Should help us as a travel guide. Cheers!! Just got back from bali! And it was amazing! Gained 2 kilos from eating all their nasi adn mie goreng haha. Loved the scenery and the culture as well as shown in their architecture and dances. 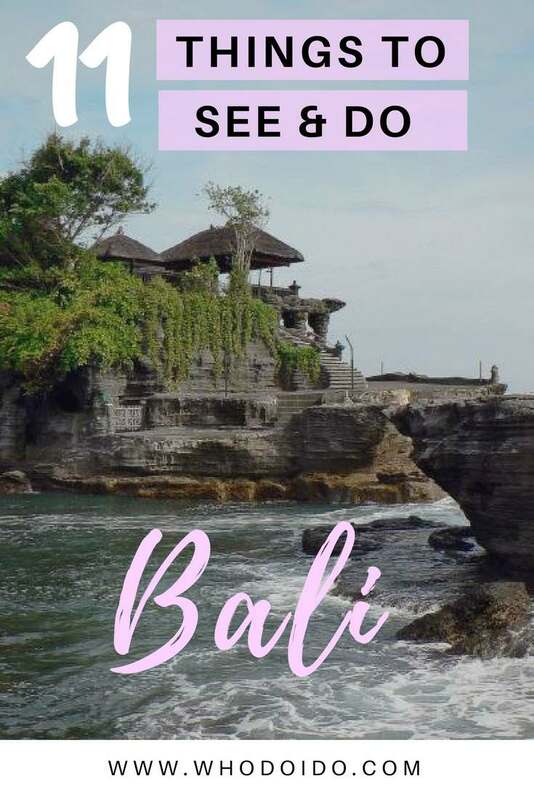 This post got us excited for our upcoming trip this winter to Bali! Can’t wait to take in the sites, food, massages, and culture in general. Exciting – bet you guys can’t wait! The Balinese massages are so relaxing! 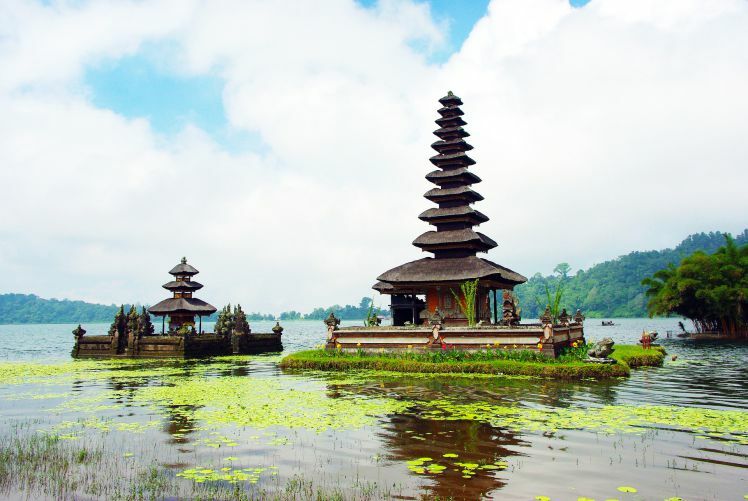 I am planning to visit Bali during Oct, and your post will surely be helpful in planning my trip. Super great photos. 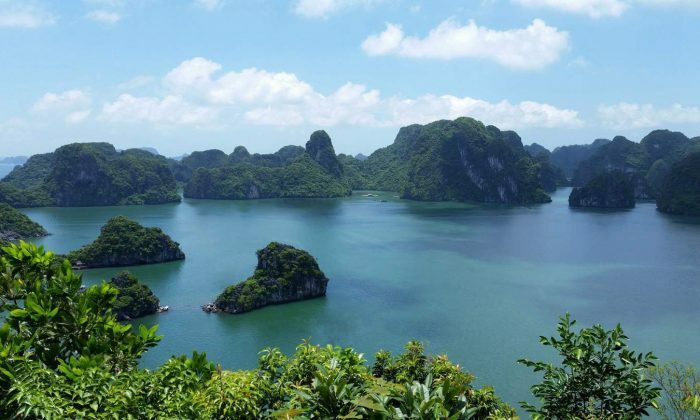 I never thought of visiting…but we just might have to do it!! Thanks for the info!! This is perfect. 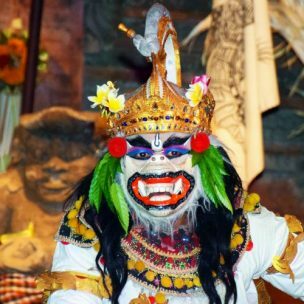 I am planning to go to Bali soon and will use this info to help mold my trip. I can’t wait it looks like so much fun, and the culture reminds me of Thailand! This brought back so many memories! Did all of them except the Mt. Batur trekking and then headed to Lombok and Gili. Great list btw! 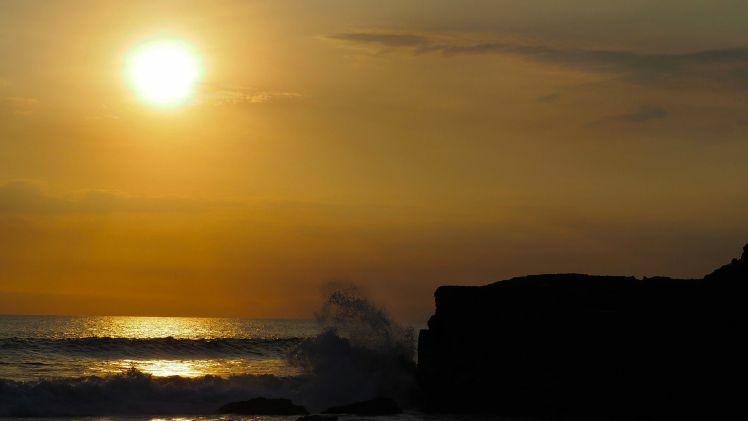 Ah – the elusive Bali..I’ve been thinking of visiting for a long time with no luck. This post has got me planning again, great article and pics ! Thanks Ajay! We’ve been thinking of going back too – it’s been too long!